I now am back in the USA! For the past eight months, I’ve been in Europe: six months as a US Fulbright Scholar teaching and directing in Kosova and two months traveling. 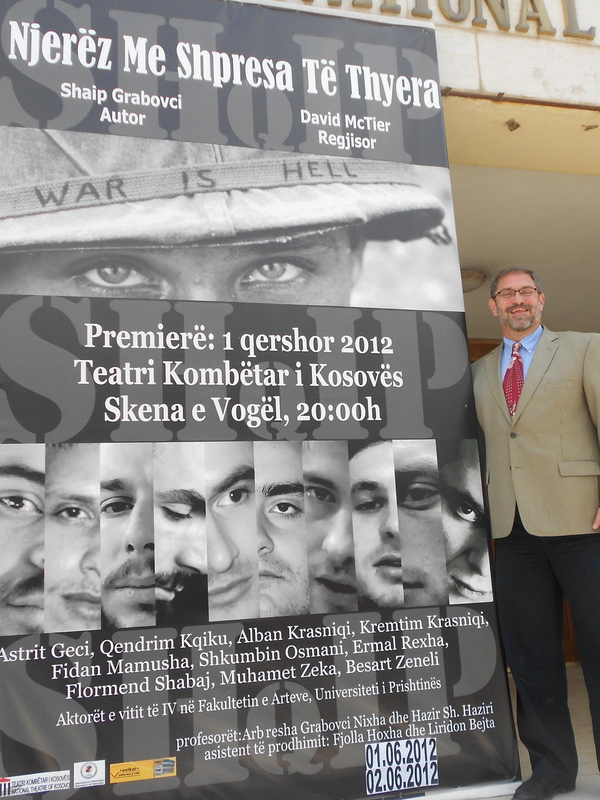 The photo here is from my production of Men with Broken Hopes at the National Theatre of Kosova. I feel blessed to have had this international experience, but I am delighted to be back home! This entry was posted in Uncategorized on September 29, 2012 by David McTier.